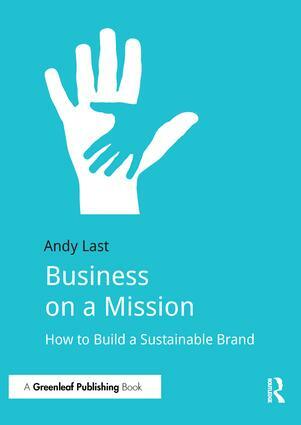 This easy-to-read and engaging book is the perfect introduction to how to build a sustainable brand for your organization. Intended as a roadmap that can be readily applied by busy managers and practitioners, the book includes interviews with business leaders, including Paul Polman of Unilever, Adam Elman of Marks & Spencer, and Jonas Prising of ManpowerGroup to provide insight into best practice and clear guidance for implementation. Throughout, the book avoids jargon and theorizing to ensure readability. Business on a Mission is based on more than a decade working with some of the first businesses to develop social missions and shows the foundations behind their success. It looks at how businesses can profit from working hand in hand with society and identifies a model for success. The book demonstrates how businesses can go from hiding behind "social shields" to picking up "social swords" and presents the six criteria to look for in assessing a social mission. It also focuses on how good communications can build trust and bring about positive change; and it provides clear ways to engage employees and improve productivity as well as "rules" for communicating social missions externally. This optimistic book explains the benefits of partnerships in the sustainable development agenda, particularly between businesses and NGOs. The book features guidelines for avoiding dysfunctional partnerships, and presents interviews with Marc Van Ameringen, Executive Director of GAIN (Global Alliance for Improved Nutrition) 2005 to 2016, and Myriam Sidibe, Social Mission Director for Africa, Unilever, on how things can be managed to the benefit of both partners. Chapter 4 - What makes a good social mission?